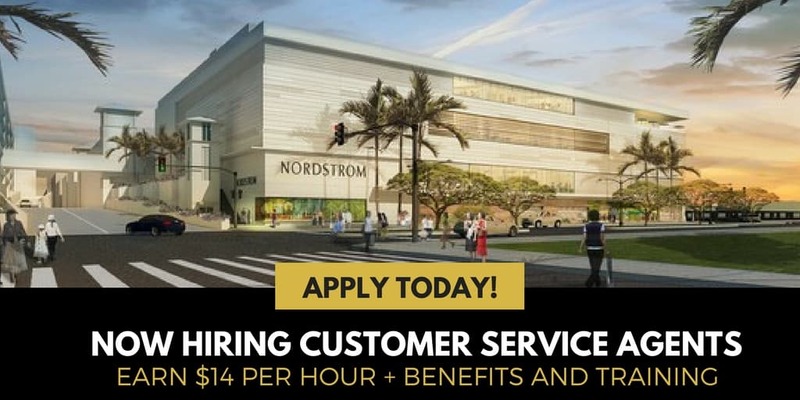 Nordstrom is currently hiring work from home Seasonal Customer Service Agents to ensure an excellent customer service experience via phone, chat, email, or social media platforms. All positions are full-time with paid training and benefits for residents in Florida. A huge shout out to The Penny Hoarder for noticing this opportunity. We are a specialty retailer offering the very best of what’s next in fashion for men, women, and children since 1901. The starting pay is $14.65 per hour (with bonuses). You are required to attend and complete 3 weeks of virtual training online (Monday through Friday). There is a completion bonus of $250 for those who remain active with the company for the entire season. Earn $3 per survey at Pinecone Research, completely free to join! … and much more depending on your role. Must have 6 months of related experience in retail. Type a minimum of 35 words per minute. North Carolina residents go here. I would also advise reading the reviews from other applicants on Glassdoor.com. There are other hot jobs for customer service on our work at home job board. #1 – Way with Words is looking for Transcribers to work from home. The job involves listening to audio and video then typing out what you hear. Schedules are pretty flexible. Click here to learn more about the job. #2 – Fancy Hands is currently seeking Part-time Virtual Assistants. The company pays around $2-$5 per task you complete. You can work on your own schedule. Hi Lashay and thank you for this post. I started the application process but stopped at the point where I needed to confirm that I could work from North Carolina. Perhaps it’s a work from home opp for local applicants only? Hi, Annie! I found out that the position is only for NC residents.